Anyone who has heard of chiasmus is likely to think of it as no more than a piece of rhetorical playfulness, at times challenging, though useful for supplying a memorable sententious note or for performing a pirouette of syntax and thought. 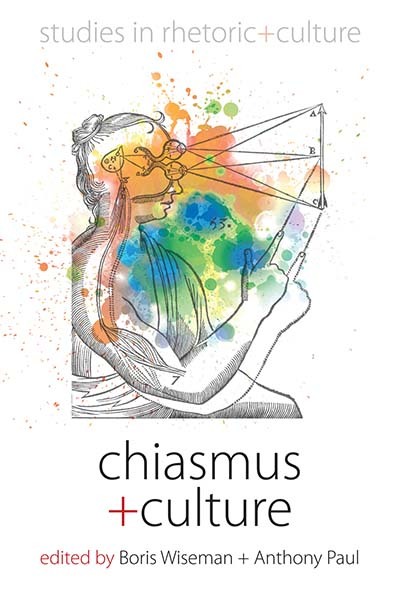 Going beyond traditional rhetoric, this volume is concerned with the possibility of using the figure of chiasmus to model a broad array of phenomena, from human relations to artistic creation. In the process, it provides the first book-length study not of chiasmus, the rhetorical figure, but of chiastic thought. The contributors are concerned with chiastic inversion and its place in social interactions, cultural creation, and more generally human thought and experience.They explore from a variety of angles what the unsettling logic of chiasmus (from the Greek meaning “cross-wise”), has to tell us about the world, human relations, cultural patterns, psychology, and artistic and poetic creation. Boris Wiseman is Associate Professor of French and Francophone Studies at Copenhagen University. He is the author of Lévi-Strauss Anthropology and Aesthetics (2007) and has edited two collections of essays on Lévi-Strauss, a special issue of Les Temps modernes (2004) and the Cambridge Companion to Lévi-Strauss (2009) and co-edited a special issue of the journal Paragraph (2011) on French philosopher Claude Imbert. He has an interest in aesthetics and the senses and is currently working on the visual capture of movement, in particular in 19th century France. Anthony Paul lectured on translation studies and English literature at the University of Amsterdam from 1972 to 2002. He is the author of The Torture of the Mind: Macbeth, Tragedy and Chiasmus (1992) and has published several works of literary fiction and translations. His latest novel, More than a Dream, has been published as an e-book (2013). Chapter 4. Chiasm in Merleau-Ponty, metaphor or concept?